Fast and reliable post-use integrity testing for Planova 15N, 20N and 35N filters. 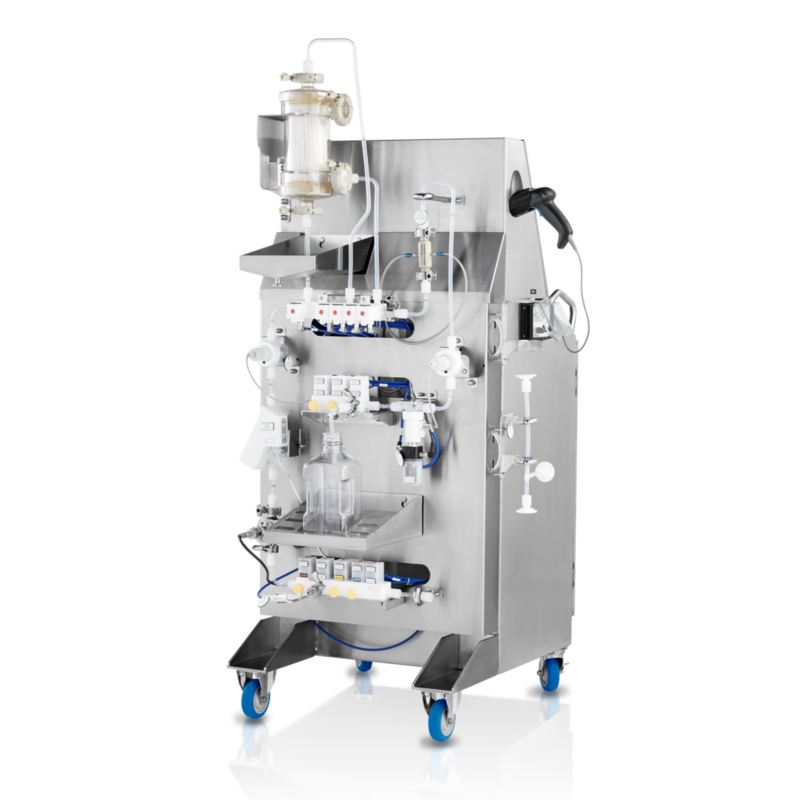 Asahi Kasei Bioprocess has developed a second generation AGPTS-II to streamline and automate the post-use gold particle test for Planova N series filters. 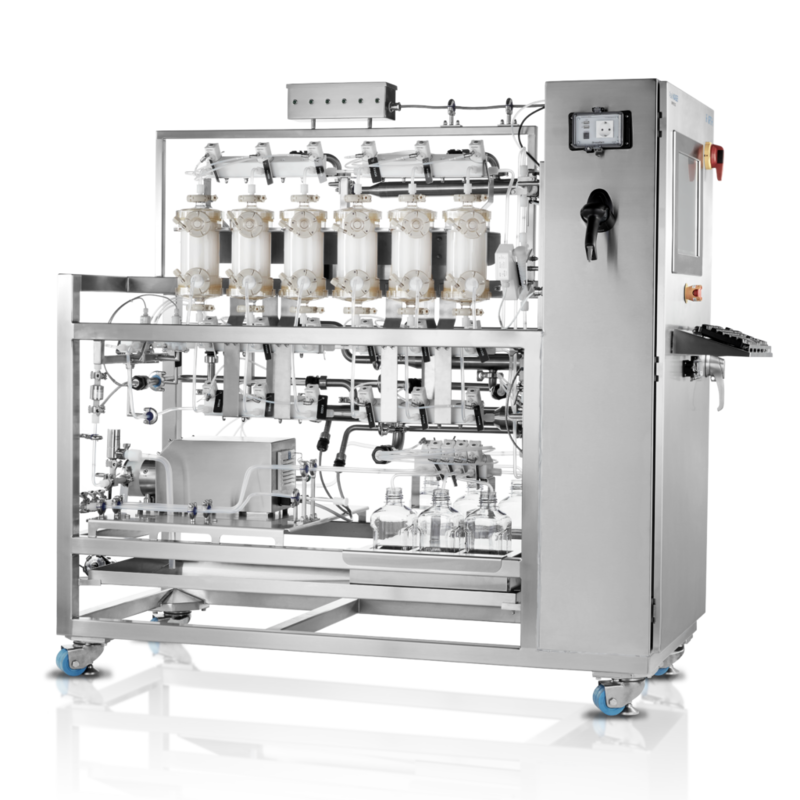 The AGPTS-II can execute the entire test in less than 25 minutes and is available in single-filter and multi-filter configurations. The gold particle test (GPT) is a post-use integrity test for Planova filters which confirms no shift in pore size distribution after virus filtration. 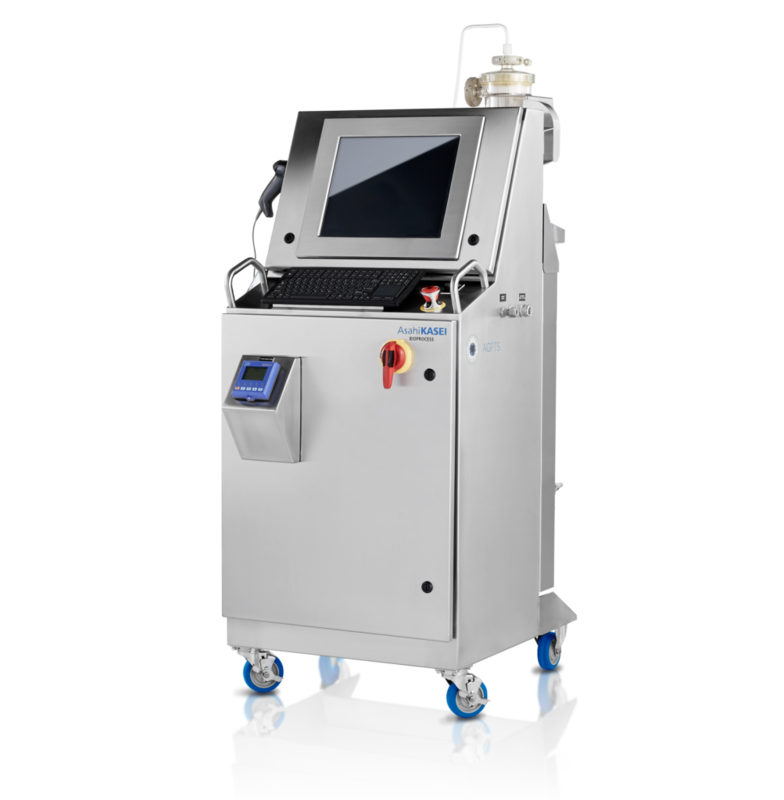 Diluted integrity test solution is pushed through the filter, and an in-line visual spectrometer measures the absorbance of the permeate fraction. The control unit automatically calculates the gold particle LRV and produces a filter pass/fail result without the need for offline analysis. Significant time savings are realized. 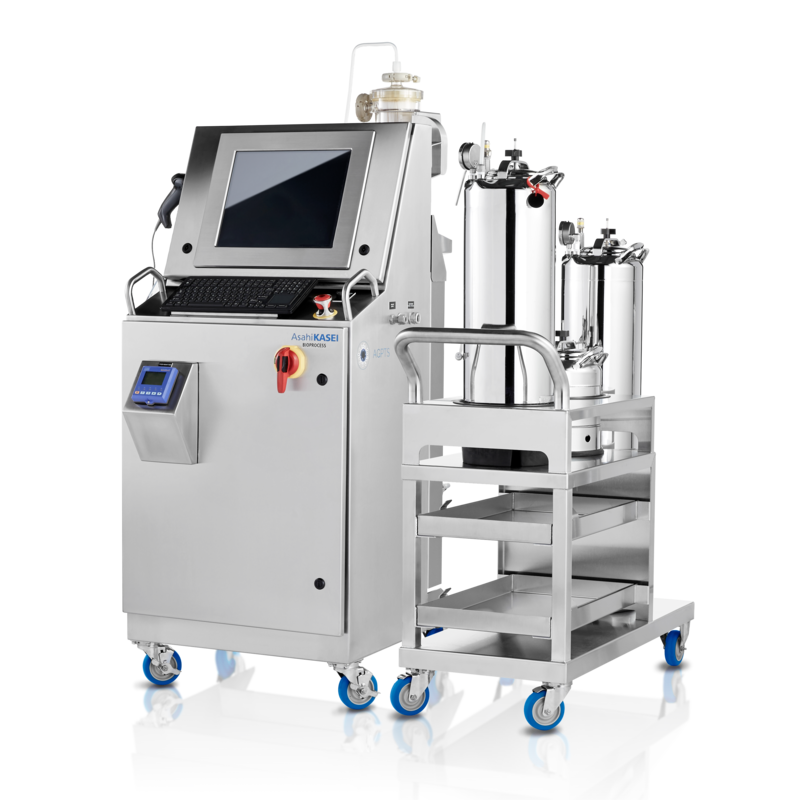 The Single-Filter AGPTS-II is a compact, validated instrument that can perform the gold particle test on one Planova 1.0 or 4.0 m2 15N, 20N or 35N filter at time. It is comprised of two units: a control unit and a feed unit. 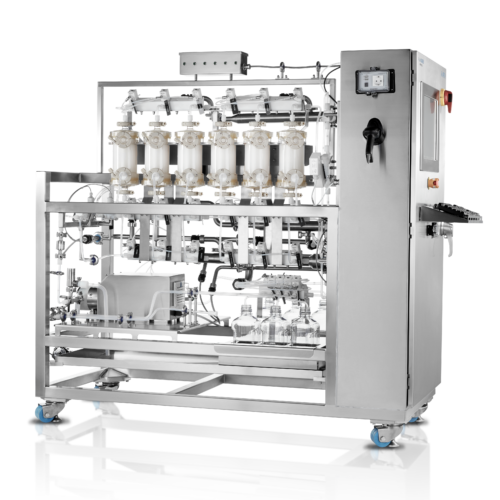 Multi-Filter AGPTS-II can automatically test multiple Planova filters sequentially. They are available in 5-filter, 6-filter and 10-filter configurations, and are ideal for processes which utilize 3 or more Planova filters per batch, or in facilities that use more than 100 Planova filters per year. Note: EZ GPT Kit is only available in the United States.